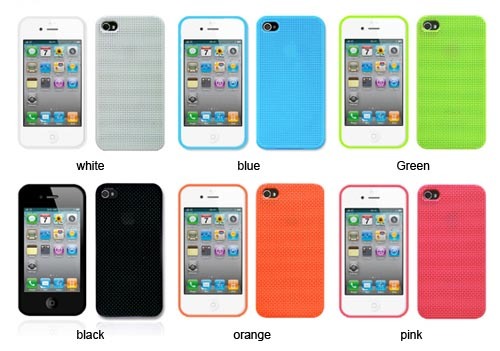 You’ve been tired of the protective case that have been on your iPhone 4 for about one year? 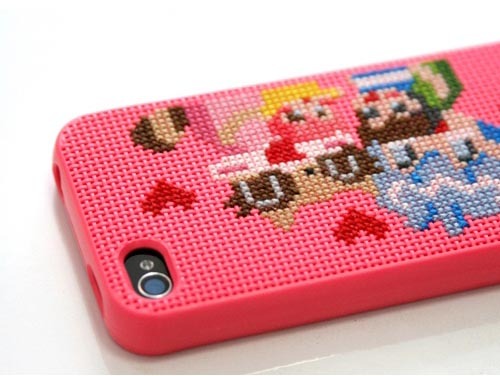 If you have some cross stitch skills, don’t miss Neostitch iPhone 4 case. 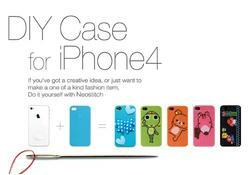 The unique DIY case is designed by connect design. Do you remember their Watch Diary notebook? 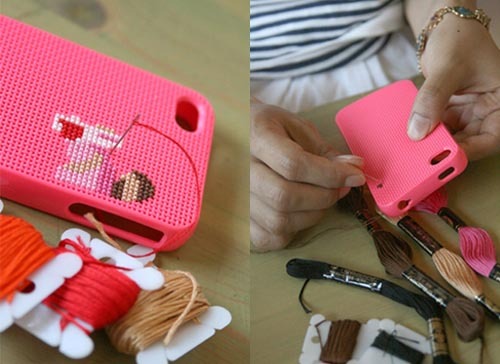 As we can see from the images, the iPhone 4 case is actually a cross stitch baseplate, in addition to protecting your iPhone 4 from bumps and scratches, the protective case also allows you to create unique cross-stitch with the accompanying needle, three coils of thread (sky blue, gray and pink) and description. 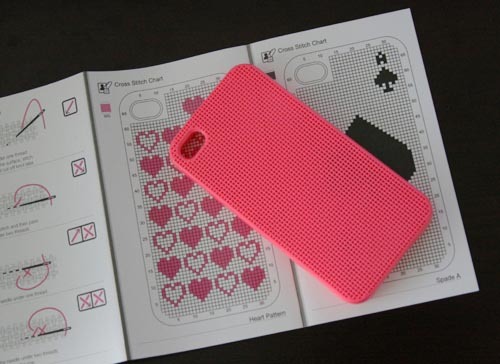 All you need are some techniques of cross-stitch skills, of course, you can also ask your girlfriend to help you. Apart from that, the custom cutouts also allows you access to all iPhone 4 buttons and functions. Neostitch iPhone 4 case is available in six colors, including white, green, orange, black, blue and pink, each one is priced at $18 USD. 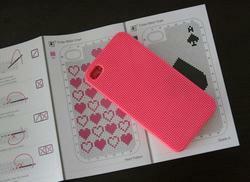 If you’re interested, jump to connect design official site for more details. 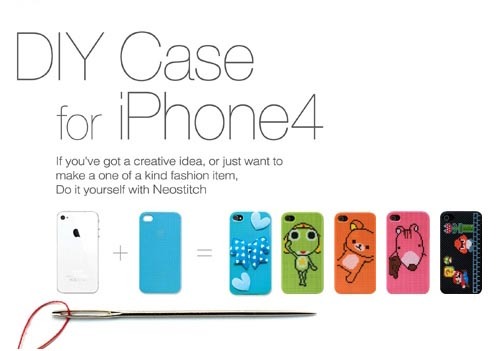 Additionally, if you need other unique options, you might like to check dokkiri beetle iPhone 4 case, iBoobies iPhone 4 case and more via “iPhone 4 case” tag.